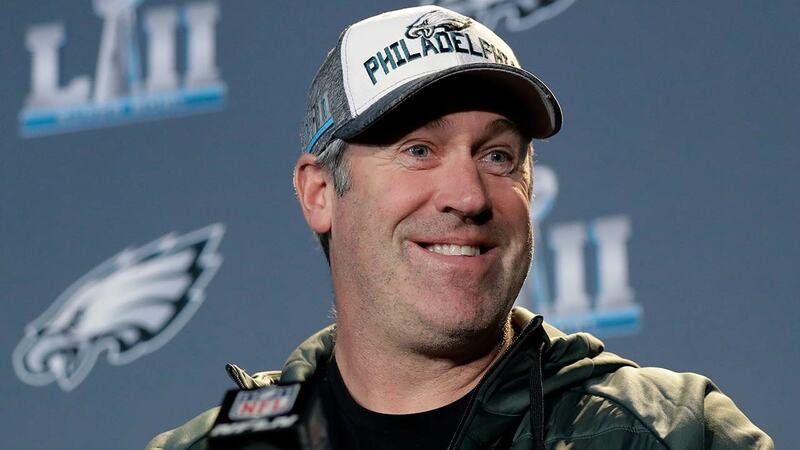 MINNEAPOLIS, Minn. (WPVI) -- Doug Pederson loves football. But today we also learned... he loves ICE CREAM! The Eagles tweeted out this video of the coach and his favorite saying to close their pregame Saturday night meetings: "I'll treat you to some ice cream!" Then, sure enough, it's part of their team meal's dessert, every time. His players tell me the coach is just a big fan of the frozen treat. But where did that saying come from? Well, former Eagle Brian Westbrook told me that during his tenure, Andy Reid would end HIS meetings with "I'll treat you to a cheeseburger!" We all know that Reid has had a huge impact on Pederson's coaching career - he's his mentor and gave him his first NFL job. It appears he gave him his famous catchphrase too. And if the Eagles were to win the Super Bowl on Super Sundae? I'll bet the coach's favorite dessert will be served with a side of champagne.